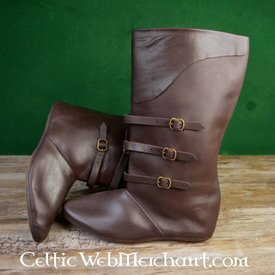 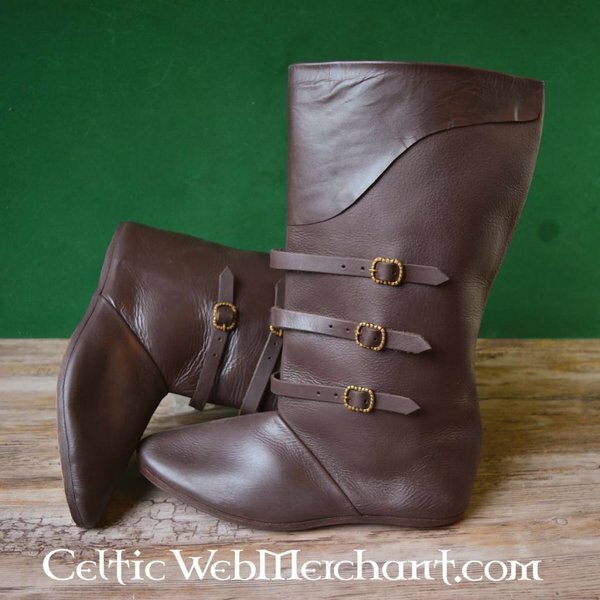 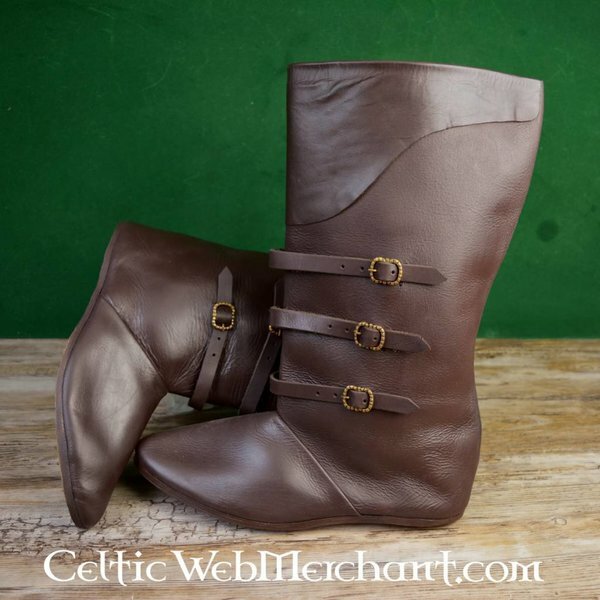 These late medieval knee boots are strengthened at the heel and the point. 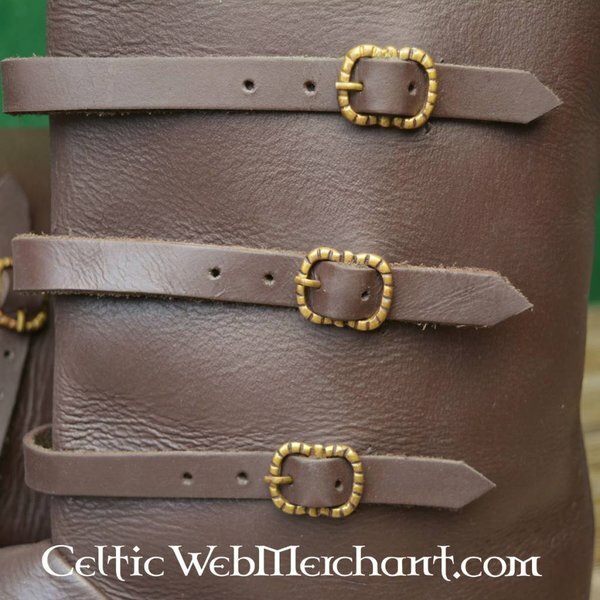 Each boot has three leather straps with authentic buckles. 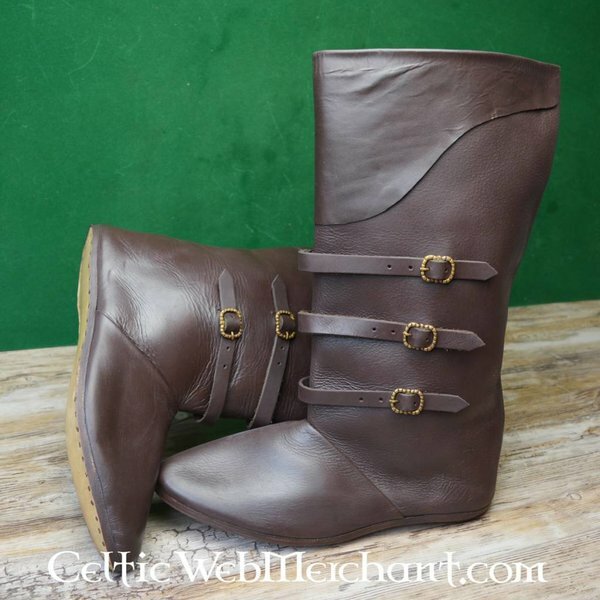 The boots are made with the purpose of combining authenticity and solidity. 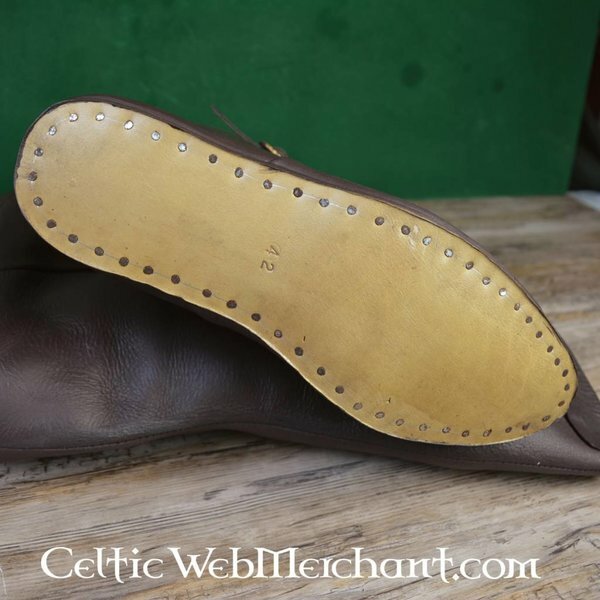 The sole is made of 8 to 10 mm thick leather.